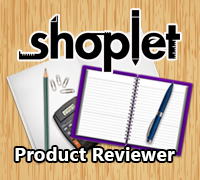 *Disclaimer* I received the mentioned product free or at a discounted rate in exchange for my honest review. All opinions are my own. 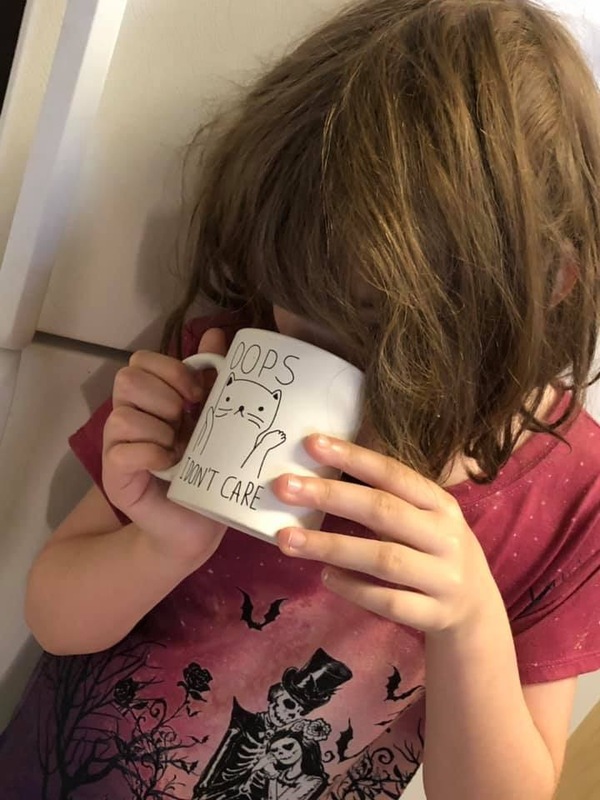 This “oops I don’t care” mug is 11ozs & is perfect for my 9 yr old (& 15 yr old). Did you know that mugs have many uses besides drinking hot chocolate or coffee out of? Some uses for mugs are pen/pencil holder, put nice hot soup & eat it out of your mug, put packs of hot chocolate & gift them to friends and family. Here is a recipe for homemade potato soup! Combine all ingredients, mixing well to make sure everything is combined. A quart canning jar with a screw top lid makes a good storage container. To use: Put a 1/2 cup of the mix in a soup bowl. Add 1 cup boiling water and stir to mix. It’s also a good idea to keep some kind of label on the jar with the instructions for preparation. Even though a tried to be a little more fancy schmancy in the picture above with my label, I usually just have a post-it note on the top of the lid saying “1/2 cup mix to 1 cup boiling water”. - The Purr-fect Mug for Cat Ladies and Cat Gentlemen: This purr-fectly affordable, totally adorable ceramic stoneware cat mug is great gift for a mom, dad, boyfriend/girlfriend, son, daughter, friend, boss, co-worker, or anyone else who loves cats. Show your gratitude and appreciation for that special someone with the cute “OOPS” I DON’T CARE mug that shows they’re all about that cat life. - Lasting Quality: High-quality, smooth ceramic stoneware resists scratches and lasts a long time. The custom imprint is permanent and won’t lose its luster or fade. Your stoneware ceramic mug can be used with either hand since the “OOPS” I DON’T CARE design is printed on two sides. Good for Any Occasion; With an 11-ounce capacity, these mugs hold plenty of liquid and make great gifts for all of your special occasions: anniversaries, bachelor and bachelorette parties, birthdays. - Safe for the Microwave and Dishwasher: Use your mug again and again in the microwave. Wash it in the dishwasher after every use and still never worry about the design fading away or peeling over time. Cold and hot temperatures will not affect the high quality of your ceramic stoneware mug, so you’ll feel confident to use it every day. Though simple, this cute cat mug makes a thoughtful gift for anyone on their birthday, Christmas, Hanukkah, Mother’s Day, Father’s Day, or any special occasion. - Fun Way to Break the Ice: Your new ceramic coffee cup displays “OOPS” I DON’T CARE on both sides so you can both laugh over your coffee or tea in the morning. The double-sided design makes an ideal gift for a new bride and groom or a wonderful housewarming present. Surprise your spouse with this cute, thoughtful gift for your anniversary or any time you want to show you care.